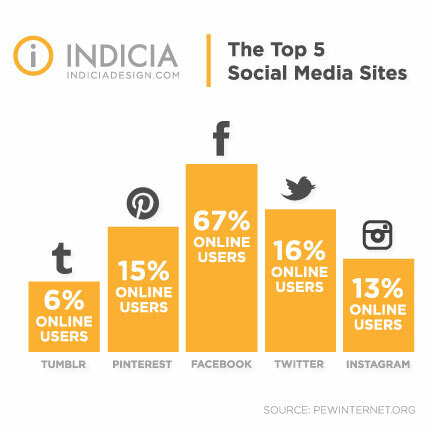 America’s third most popular social network, Pinterest, updated their website this month with a goal of bettering users’ experience and interaction. The new design improvements include a simpler and cleaner layout and an array of new discovery features that make pinning your favorite things quicker and easier than ever before. For those of you still exploring social media and what it means for your brand, Pinterest is an online pinboard, or social bookmarking website that allows users to create, share, and save interests, hobbies and/or events to topic-based collection boards. When a user shares an image or video on Pinterest, they are “pinning” content. Each pin is represented as an image and can be linked back to its original source. Pins can be organized by theme, and on different boards. Users who want to save what others have “pinned” will “repin” that content to save it to their own collection boards. Users also have the option to “follow” other users who share similar tastes and interests. Three years after its launch in 2010, Pinterest embarked on a redesign to make the site easier to navigate, without drastically changing its look. After a three-month test period with select members, Pinterest analyzed feedback and began implementing the new site redesign to the rest of its 48-million+ users. As an avid Pinterest user, I was excited try out the new look and features. 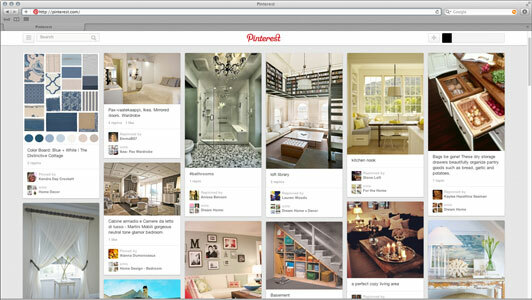 With the redesign, Pinterest is even more user friendly. Navigating around the site is easier and more fluid for users, with pinners and boards featured more prominently than before. The pins are larger, and higher-quality images and feature-related pins make it easier to discover similar things. Suggested search terms, and the ability to view recent searches have been added, as well as a drop down to show popular topics. 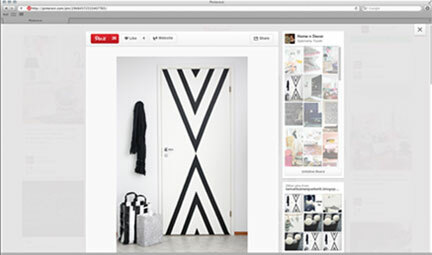 Pinterest notifies users when they are posting duplicate content, helping to eliminate clutter on their boards. My favorite new feature is that all content shows up on the same page, so you never have to leave it to view content; now I never lose my place while browsing. Pinterest has also made it easier for users to interact with each other and discover material from like-minded individuals. It is now possible to send pins to friends, and even include a personal message. Pinterest users can now find friends from Twitter and Facebook that are also on Pinterest. After testing the site, I’ve been very pleased with Pinterest’s updated look and new features. I appreciate that the company is interested in bettering users’ experiences, and takes the time to listen and evaluate their opinions. The new design is very helpful in managing and sharing my continually expanding boards. Pinterest is one of the top places for inspiration on the web and with the redesign it’s an even more beautiful visual experience.